Is it me or is this a bad fall foliage-wise? I was fully prepared to get snappy happy when the colours would burst, but no such thing ever happened. 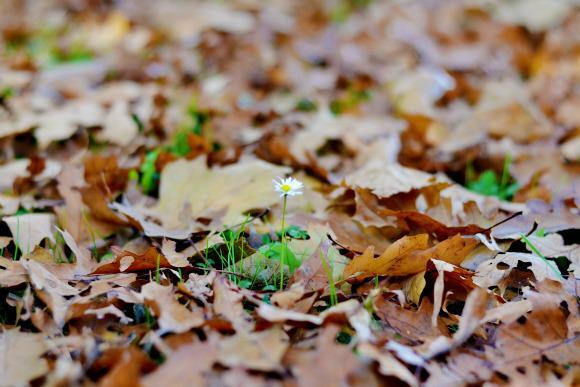 It seems like the leaves went from fresh and green to dead and dry in just one night. Almost all the trees are bare now, and my (unprofessional) photography heart is bleeding. Oh well. The sidewalks are covered in crunchy brown leaves and I can’t help but kick them up everytime I walk through them. Or throw them up and spread them all over the placew which then gives me an excuse to get out the leafblower. That machine is so awesome! The perfect tool to get our dogs to go crazy, haha. And to get dirty. I was covered in dust and sand, but I had so much fun. Fall is the season where I realise I don’t actually want to grow up yet. My 100th outfitpost!! 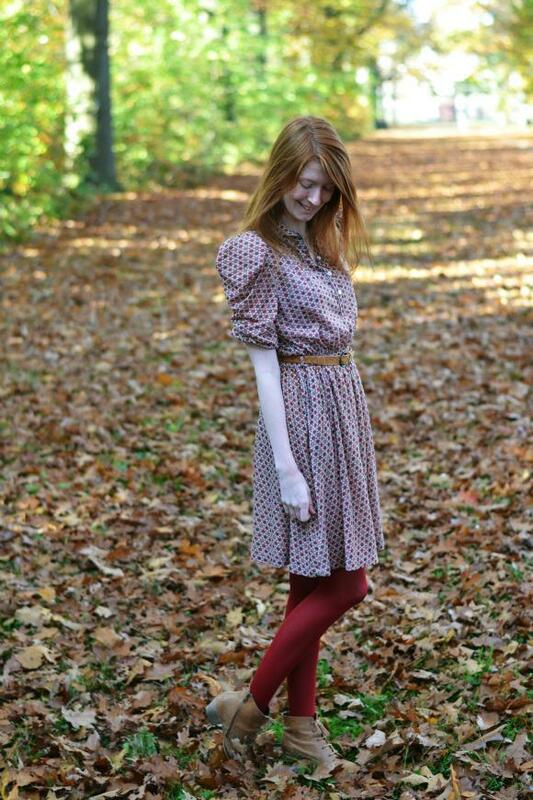 This dress kind of matches the fallen leaves. I bought it in London two years ago, eventhough it was ridicilously expensive for a young student. I splurged even more, and got the matching cardigan too… . Boy, do I love this outfit! This dress is one of the most worn items in my closet. It’s hard to remix, but I don’t really mind in this case. The pretty red and greenisch pattern, the full skirt, the puffy sleevs… I call it my “Englisch school teacher”-dress. If this bag were still alive, It’d be perfect with it! And yes, I just linked back to the very first official outfitpost ever on this blog. I am writing this and watching the weather channel at the same time, and what I am seeing is scaring me. East coasters, stay safe! 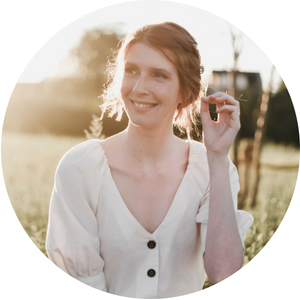 Previous Post The Ginger Diaries got a facelift! Next Post What would you tell your sixteen year old self? That dress is gorgeous, you look lovely. The same thing has happened here, sometimes we get amazing red and orange leaves but this year they seemed to have skipped over that step to just become brown. I managed to find one spot that has red ones and used that to take outfit photos. THe outfit is very autumn-y- even if the leaves are not so much! Yes, the leaves are pretty crappy here too. Such a disappointing fall lol! The dress and cardi were great splurges! You look so pretty!! beautiful fall photos! love the dress and cardi, they were worth the splurge. We're watching the weather here in Michigan, the winds are high and temps dropping, but nothing like what farther east is getting, it is scary! I loved the description of this post on twitter. You rock the red. I am also disappointed in the leaves. Sigh. Maybe next year. Oh tell me about it, it was SNOWING here on Sunday. So imagine trees, full of yellow and orange leaves .. and then snow on them! SO weird. I've always personally loved redheads in red so this outfit is stunning to me! Love the red on you! You look great! Hey, at least you're making use out of your investment then – that dress is so pretty on you. I love the matching cardi haha. Wat een schattig jurkje! Leuke foto's! Really cute look! Love how everything looks together! Congratulations on reaching 100! I like those tights, I have a pair in the same color for fall. I love how pretty the color of your tights are with the dress. Pretty outfit! Happy 100th outfit post! What a fun milestone! 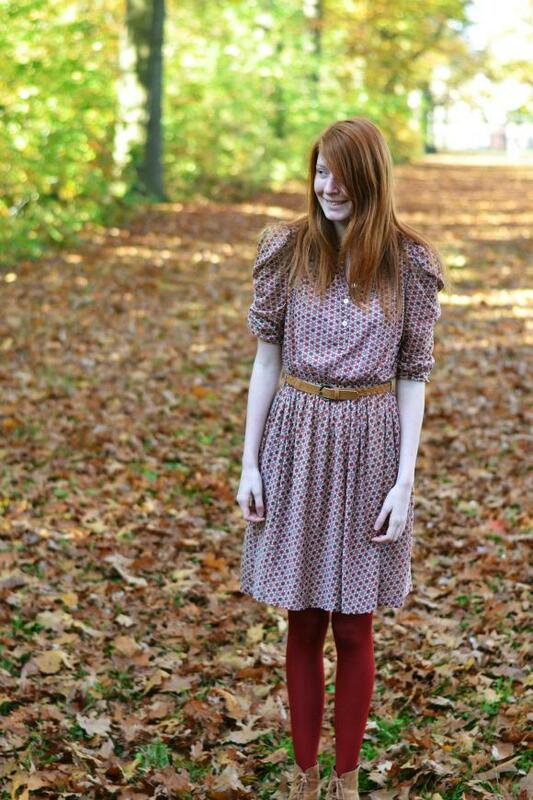 I love your festive red tights, and personally love the crunch of the dead brown leaves even better! Lovely dress,and verry nice pictures! Thank you for the nice comment on my blog! this dress is so cute – and i LOVE that dark red color on you. Wat zie je er weer stijlvol uit Nikki! Leuke herfstoutfit 😉 ! Adorable photos! Love the red tights and cardigan! Aw you look so cute in your little dress! I love the colors in this outfit. 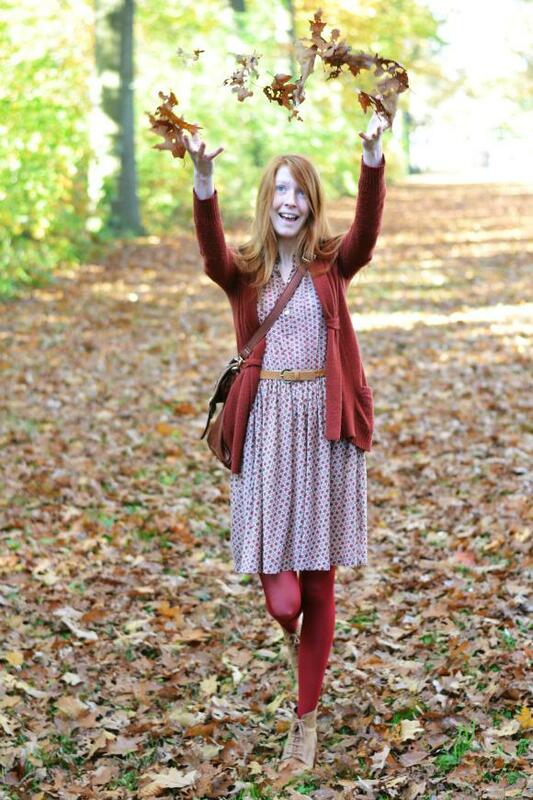 The cardigan and tights remind me of fall leaves even though your foliage wasn't up to par this year. We're just getting to the peak of our colorful leaf time so I plan on going out and taking some pictures this week. I hope they don't all blow away!